ON SALE! Limited Quantities. Black anodized billet cam cover. 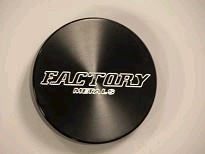 Engraved factory metals icon logo.